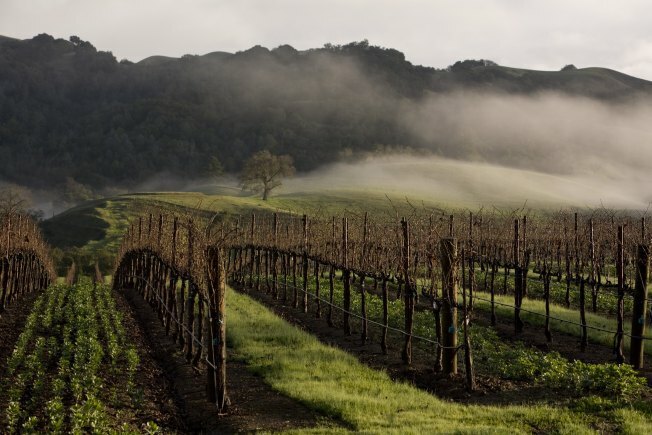 A rolling hillside vineyard in Sonoma County, CA. Just in time for the ending of the previous Best Job in the World (congrats to UK’s Ben Southall), another has come along to take its place. This ”Best Job in the World” is located in our own Sonoma County, close to San Francisco. It’s a pretty fantastic gig: Your title would be the “Murphy-Goode Wine Country Lifestyle Correspondent,” and you would be expected to taste lots and lots wine, then blog/tweet/Facebook about it (as well as play plenty of poker and Liar’s Dice). The only part that sounds even remotely like work is where they want you to participate in tracking the local owl and raptor population (? ); however, you’re also expected to scout out new picnic locations, so I can’t imagine you’ll be too terribly taxed. They want you to be over 21 (duh), and you’ve got to create and upload a 60-second (and not a second more!) video, plus writing samples. Presumably, you can learn raptor-tracking on the job. They’re basically hiring you for six months of fabulous PR, at a sweet $10K a month. Oh yeah, they’re also putting you up in a deluxe private home in the heart of Wine Country within walking distance of their tasting room on Healdsburg Square. If that wasn’t enough, you’ll also get a computer, PDA, and digital and still camera access. The contest entry is open until June 5, and the gig starts August 1. Upload your application here, and follow all the action on Twitterhere.